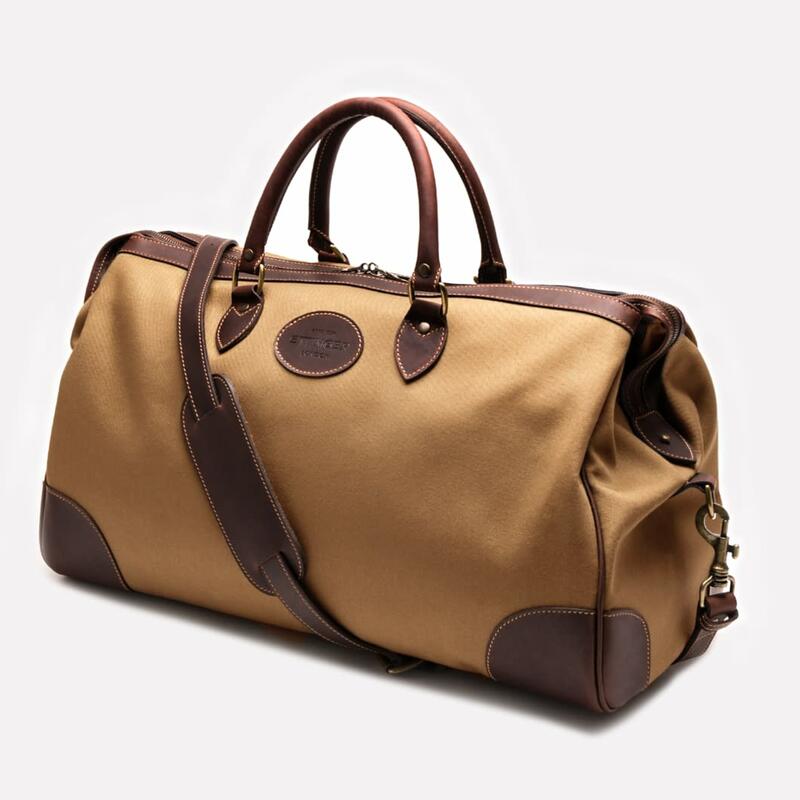 The Hurlingham Club in London is an iconic English institution where town meets country and sport is an elegant affair. 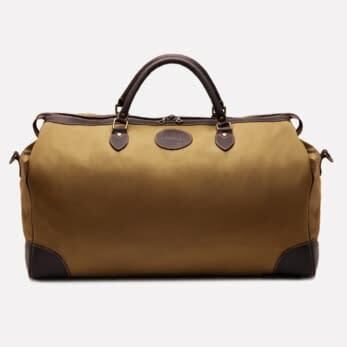 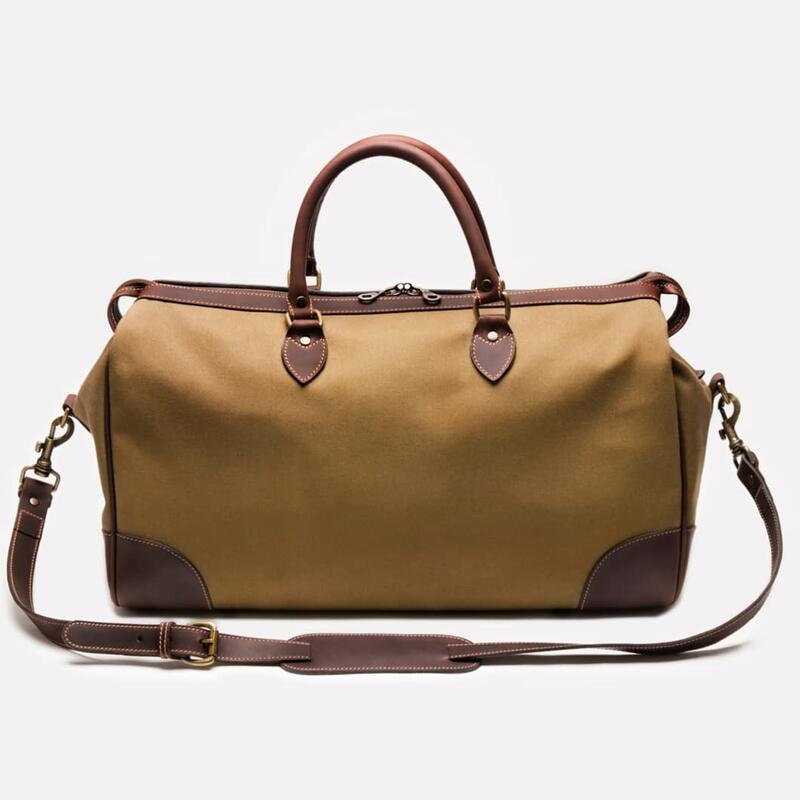 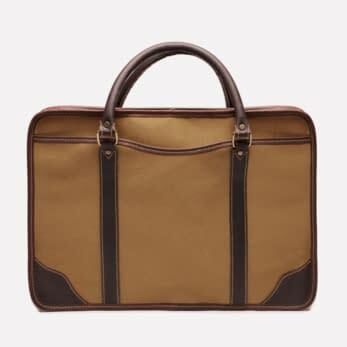 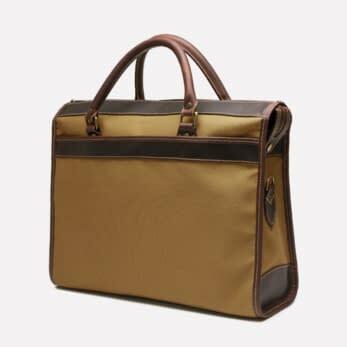 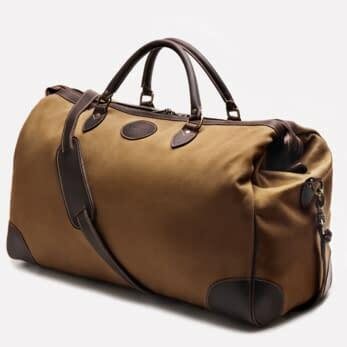 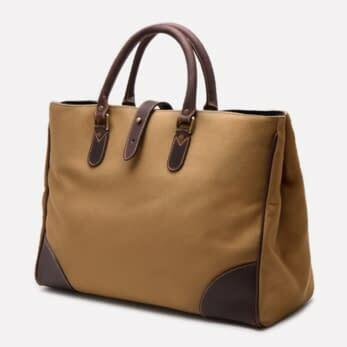 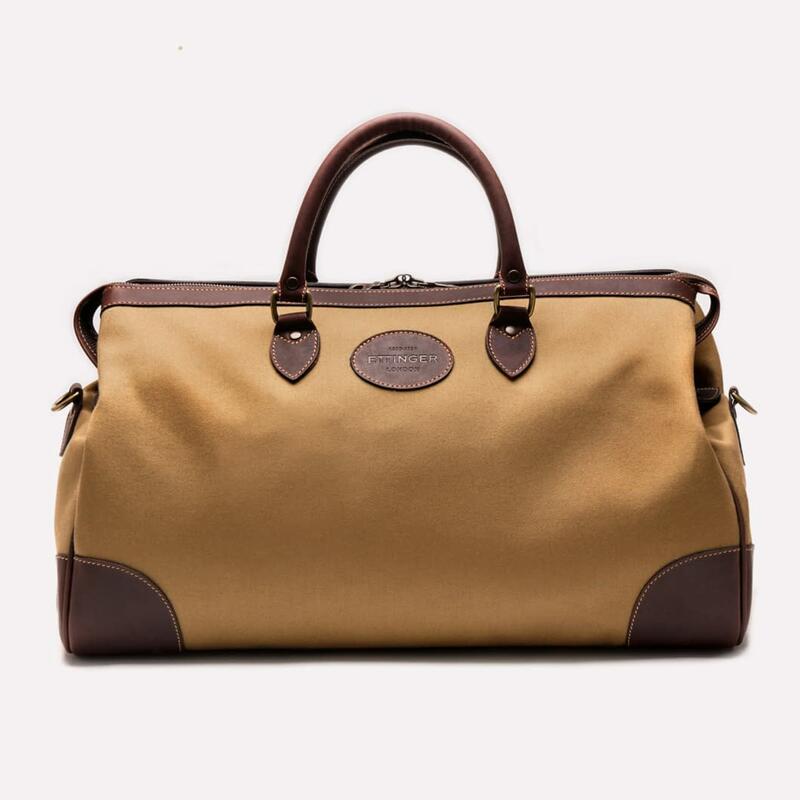 This bag is designed to be big enough to be used as an elegant sports bag but also small enough to pop in just a few clothes for an overnight stay. 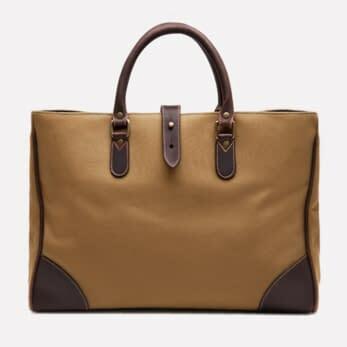 The canvas in sand-yellow and light brown leather trims give the bag that distinctively elegant English countryside look. 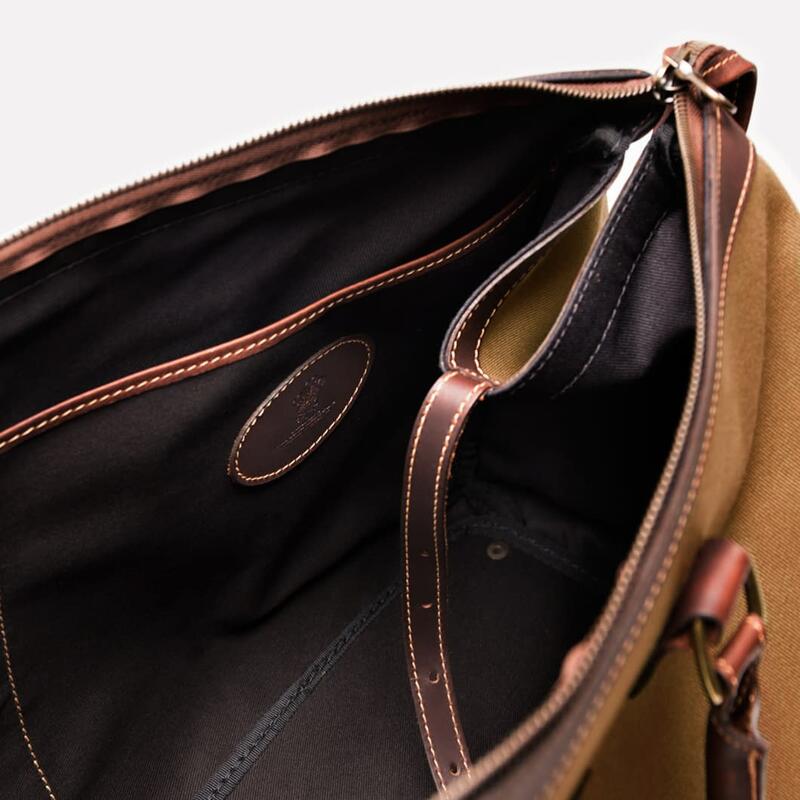 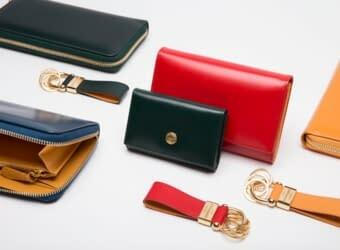 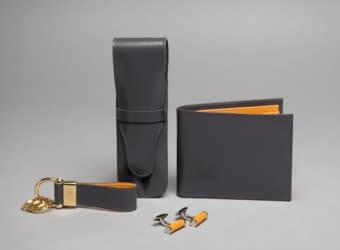 This bag has a single internal compartment and two slip pockets inside to hold smaller items. 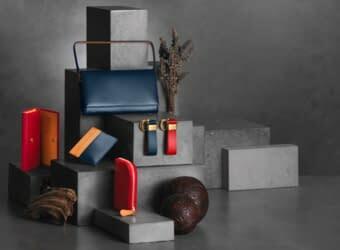 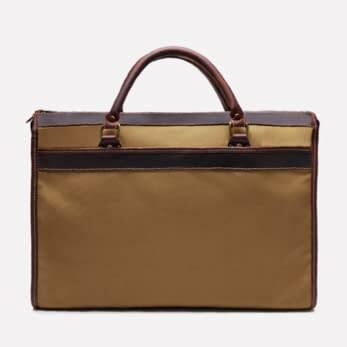 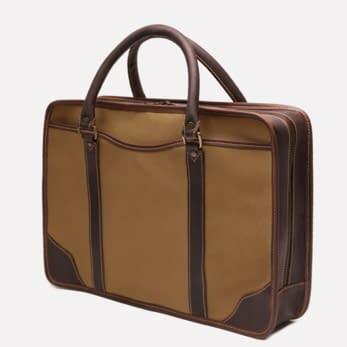 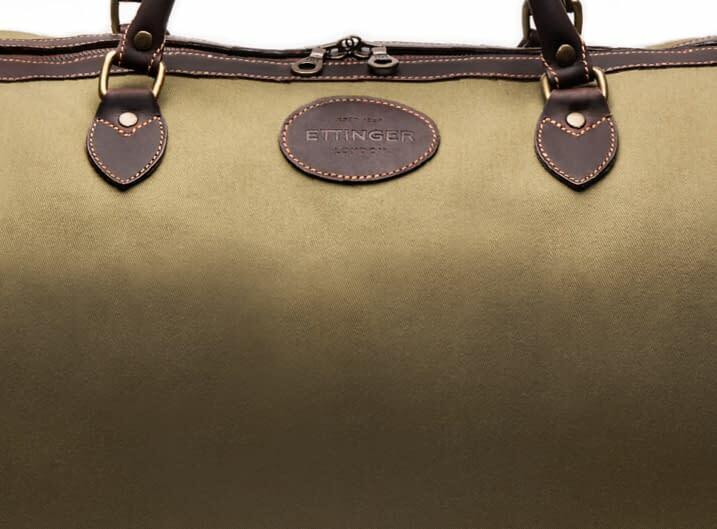 Ettinger Pursuits Collection bags are made using strong cotton drill, that gives the bags that distinctive English look. 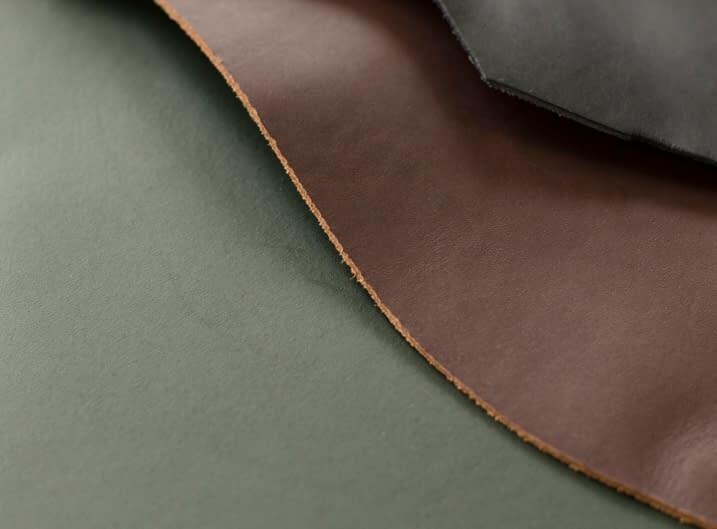 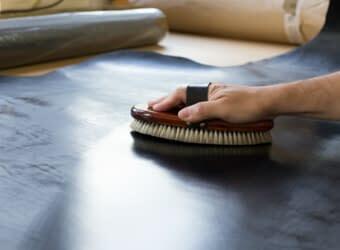 The navy, olive, sand and black canvases are 100% cotton drill, giving them a strong and soft feel. 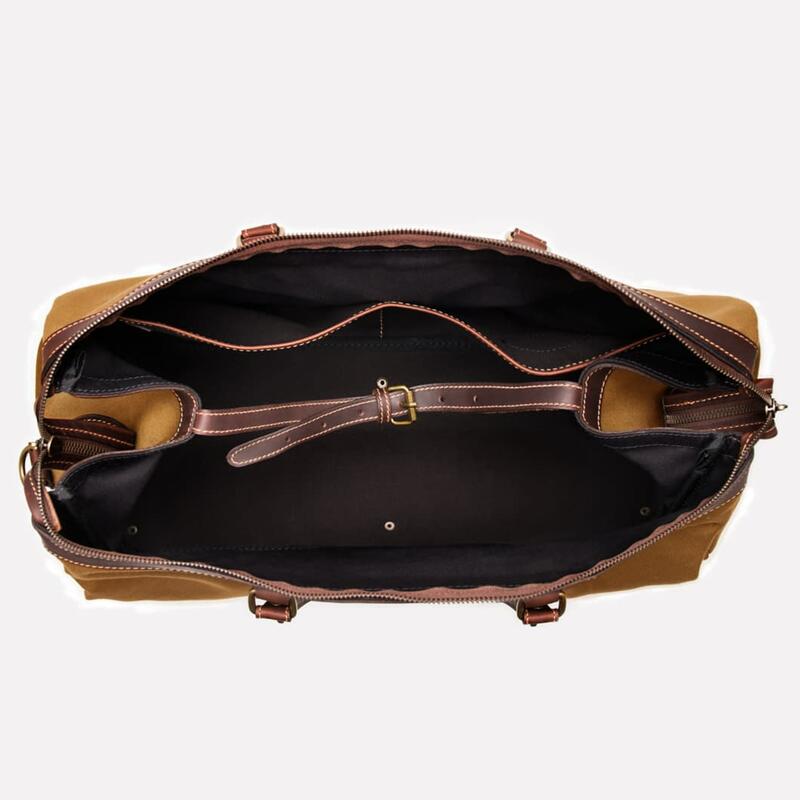 The ivory canvas is a blend of linen and cotton, making the fabric slightly more textured and rigid.